With financial support from the Walton Family Foundation and in partnership with the Bicycle Coalition of the Ozarks, Street Plans was hired by the Northwest Arkansas Regional Planning Commission to work with the cities of Bentonville, Bella Vista, and Rogers to create a series of month-long bikeway pilot projects. 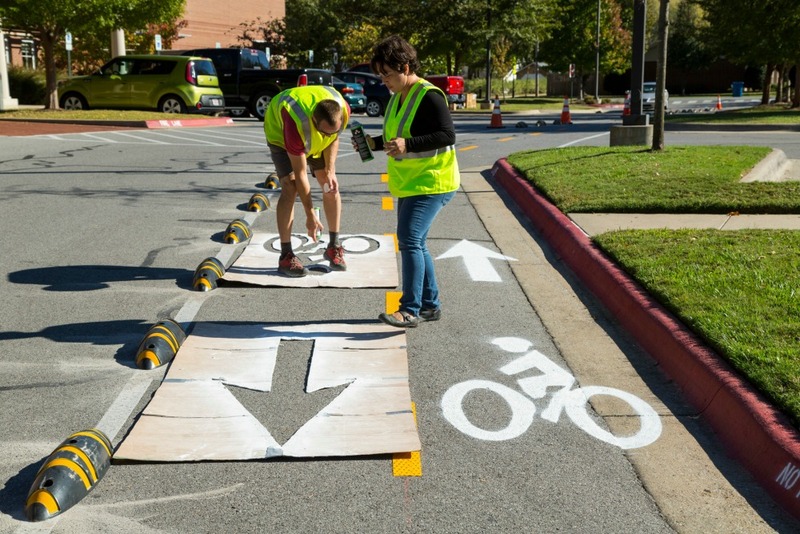 The Walton Family Foundation recently published an article analyzing the results of Street Plans’ Tactical Urbanism work in Northwest Arkansas. Click HERE to see the final report, click HERE to see the full article, and click HERE to see a short video of the project implementation. 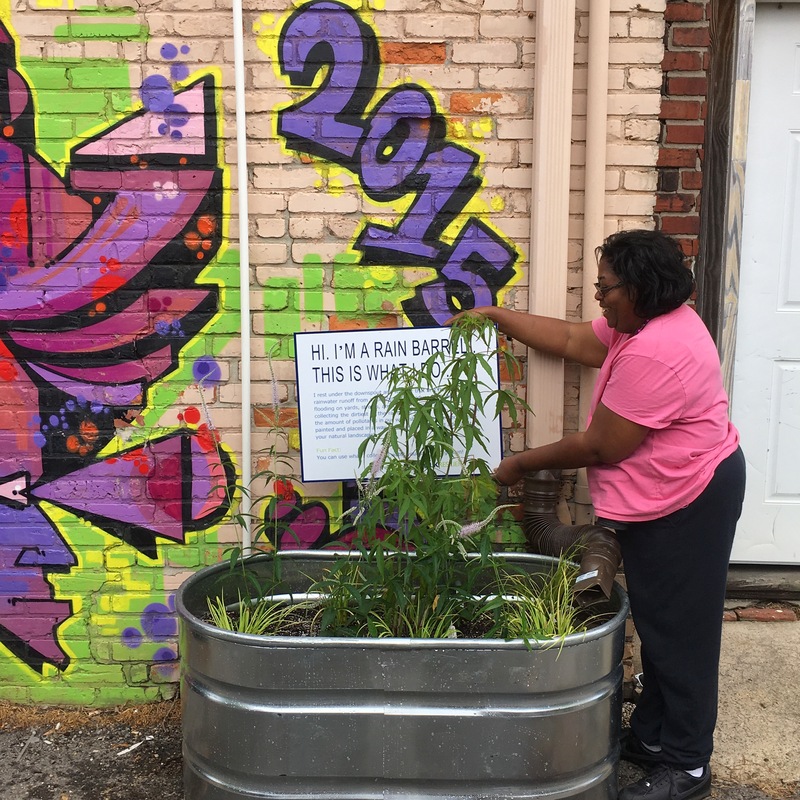 Nearly a year ago, Street Plans worked with the City of Norfolk, 100 Resilient Cities – Pioneered by the Rockefeller Foundation, ioby, and others to workshop and deliver a series of small-scale blue-green interventions. The University of Nottingham caught up to the project and shared this nice article about how cities can use short-term action to help deliver long-term change. “As with marginal gains “theory” applied in sports, it may not be a huge volume on its own but add this up across a city and you might start getting significant savings in your infrastructure costs and considerable reduction in flood risk.” – Click HERE for the full article. Street Plans is working with Build Public to increase neighbors’ awareness of the city’s Vision Zero campaign and the formation of a Green Benefit District in the Inner Sunset neighborhood of San Francisco. From April 27 to May 7, Street Plans and Build Public will be engaging with neighbors at various locations along Lincoln Way and inspiring them to take action to improve their community. 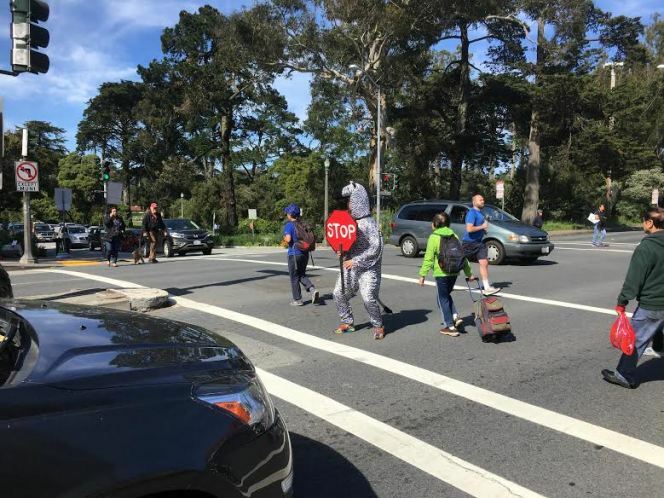 Inspired by a similar traffic safety effort in Bolivia, Street Plans and Build Public wore zebra costumes to engage with residents and make sure cars stopped before the crosswalks. To learn more, check out this article. Street Plans will speak at two different sessions on Wednesday, May 3rd for the 25th annual Congress for the New Urbanism in Seattle. Street Plans’ Mike Lydon, Anthony Garcia, and Julie Flynn will speak at the first session, titled “The Tactical Urbanist’s Guide to Civic Engagement, Materials & Street Design.” They will talk about the latest research on Tactical Urbanism materials and design [check out our recently published Tactical Urbanist’s Guide to Materials & Design here] and discuss ongoing case studies from Burlington, Vermont and Miami-Dade County. Street Plans’ Anthony Garcia will be one of the speakers at the second session titled “Beyond the Charrette: Connecting to Communities & Empowering Everyday Citizens.” This session acknowledges the limitations of the common charrette and will discuss various ways to broaden community engagement and allow citizens to create and experience planning concepts in real time. Learn more about CNU 25 here. PlanBTV Walk/Bike, a citywide planning effort to enhance safety and increase active mobility in Burlington, VT, was officially approved by the City Council on April 17th! With this approval, Burlington now has its first Bicycle and Pedestrian Action Plan and many priority projects for rapid implementation. Now that the plan has been adopted, Street Plans will continue to work with Dubois & King and the City of Burlington’s Public Works Department to begin implementation with a series of “Quick Build” projects identified in the plan.